Trailways’ new affiliated partner, Betterez, offers Trailways 30-day free trial. Betterez is a modern Motorcoach software-as-a-service and IT support firm serving all type Operators in the Motorcoach market. As part of their new affiliation, they are offering all Trailways Stockholders a 30-day free trial. Please take a moment to review the offer and please contact Mike Van Horn if you have any questions or would like to participate in a 30-day free trial of our program. Contact Betterez to schedule 1 hour software demo. Corcentric creates new program giving Trailways network carriers access to major suppliers and competitive pricing through AmeriQuest Group Purchasing program. January 15, 2015—McLean, VA — Corcentric, a leading provider of cloud-based technology and financial process automation solutions, today announced they have signed a partnership with Trailways Transportation System, Inc. (Trailways), to create a private group purchasing program. Utilizing Corcentric’s CorConnect technology, the program will allow Trailways’ network of carriers to purchase products and services from more than fifty National Accounts programs through the AmeriQuest Business Services procurement program. 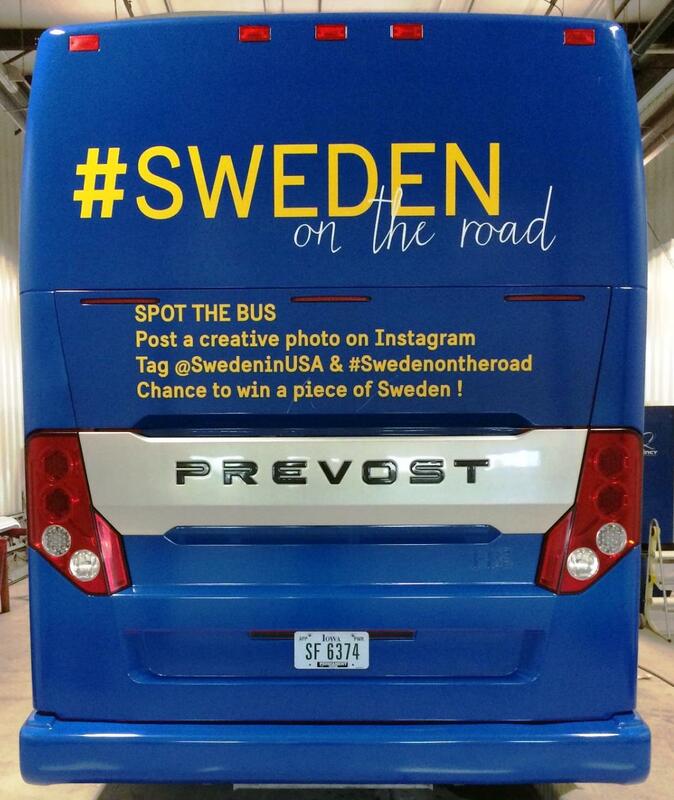 A special Burlington Trailways Prevost deluxe coach has been beautifully wrapped for SWEDEN ON THE ROAD. 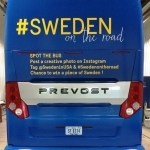 The trip, organized by the Embassy of Sweden’s Public Diplomacy program, toured the California Coast this week to “showcase Sweden as a free trade nation.” Ambassador, Björn Lyrvall was on board. For bus travelers, Trailways provides instant bus travel news, special offers and updates via Facebook and Twitter. For Stockholders (members), Partners, Affiliates and industry associations: Trailways publishes its Traveler Newsletter annually in January. It is featured to the right on this page. 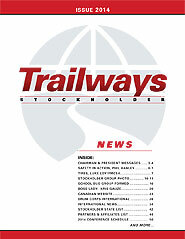 To Download the 2014 Trailways Annual Stockholder’s News CLICK and see past issues: 2007, 2009, 2010, 2011, 2012, 2013. 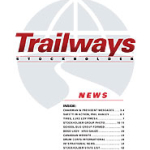 Annual Trailways Stockholder News (formerly The Traveler), a full color news magazine with a circulation of over 10,000 names and distributed to various customer markets. Trailways Website – Banner space is available. Want to Reach Bank Travel Planners & Loyalty Program Directors? Trailways Corporate has a prominent Trailways brand tradeshow position again next year. We have five (5) tradeshow representative slots available ($600 fee). The majority (89%) of suppliers booked business at the last conference in Memphis. You must sign up through Trailways to secure one of the five slots. (click to link to website/form).